Navy beans are white, pea-sized derivatives of the common bean (Phaseolus vulgaris). Also known as haricot beans or pea beans, the name “navy bean” is a reference to their status as a staple food in the United States Navy. In addition to remaining fresh over extended periods of time, navy beans are consumed by sailors for their impressive nutritional value, as they can spend weeks or even months adrift at sea and far from land, where they can gain access to foods rich in nutrients. Navy beans are an excellent source of fiber, with one cup providing over 76 percent of the recommended daily value of this important nutrient. That same serving can deliver 64 percent and 48 percent of the recommended daily value of folate and manganese, respectively. Vegetarians can turn to navy beans to supply them with protein, since a cup of navy beans has 30 percent of the recommended daily value. Moreover, navy beans have minuscule amounts of fat and a low glycemic index. Navy beans can stave off a number of digestive disorders because of their high fiber content. By adding bulk to stool, navy beans can prevent diarrhea and constipation, while keeping bowel movements regular, thereby minimizing the risk of developing gastric ulcers. As good sources of copper, eating navy beans can minimize one’s chances of experiencing inflammation. Since copper promotes joint mobility, greater blood flow, and flexibility, it greatly inhibits oxidative stress in areas of the body that are prone to inflammation. Navy beans are loaded with nutrients that contribute towards a healthy heart. Magnesium relaxes the blood vessels and enhances blood flow, potassium maintains regular blood pressure and heart function, while folate lowers homocysteine levels. Having too much homocystein in one’s body puts them at greater risk of heart attack and stroke. Additionally, iron and copper work together to keep blood flow normal: iron acts as an important component of red blood cells, and copper assists in hemoglobin synthesis. By regulating the amount of homocysteine in the body, navy beans can protect the brain as well. Elevated homocysteine levels have been linked to neurodegenerative diseases, so consuming navy beans greatly lowers the chances of incurring them. The presence of thiamin increases specific neurotransmitters, keeping one’s memory and cognition sharp. Navy beans are incredibly versatile and can do well in almost any dish. They do well as a core component of soups, salads, chili, and sandwich spreads. Boston baked beans, a beloved dish from New England, typically calls for navy beans. To make navy beans easier to digest, be sure to soak them several hours before cooking them. Note that navy beans should never be consumed raw. 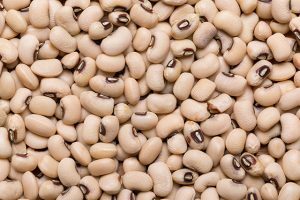 Navy beans that haven’t been cooked yet contain linamarin, a very poisonous substance that causes paralysis, multiple organ failure and, in most the most extreme cases, death. Besides linamarin, navy beans are high in oxalates as well, or naturally occurring chemicals that can accumulate in the body. People with renal problems or weak urinary systems should avoid navy beans. 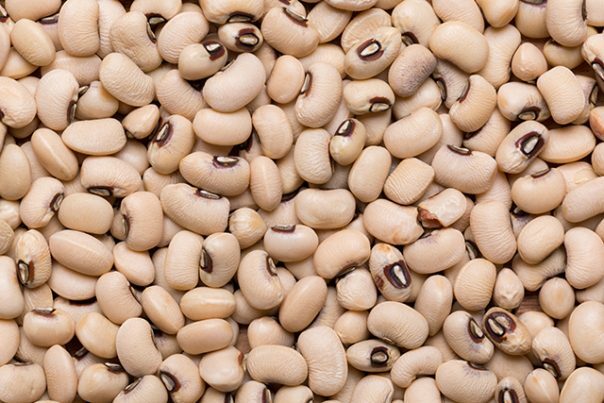 Navy beans are highly nutritious legumes that are rich in fiber, manganese, and folate. Because of this combination of nutrients, navy beans are an excellent food for nourishing the digestive system and heart. Individuals who suffer from poor urinary systems or renal issues are advised against consuming navy beans due to their oxalate content, as they can form larger kidney stones that can obstruct kidney tubules.